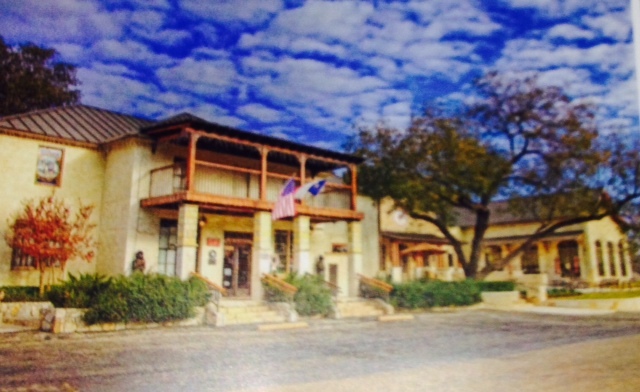 Kerrville TX | The Tourist Information Center for all things Kerrville! The Interactive Art and Music Experience “Artrageous” will be presented at Kerrville’s Cailloux Theater on Saturday, January 20, at 7:30 p.m.
Artrageous is a fusion of the visual and performing arts. Live on stage, performers will create three giant, 4 feet by 8 feet canvas original works of art, accompanied by music, movement, and memories. At the end of the show, the audience is invited on stage to meet the members of the troupe and to view the finished art. The art will be donated for fundraising, and the show is appropriate for the entire family. Tickets can be purchased by visiting www.caillouxtheater.com or by calling (830) 896-9393. In addition to live music and the artists at work, there will be more interactive activities for children and more food vendors this year. Face painting, balloon art and classic games such as hopscotch and marbles will be offered for youth at the Kid’s Zone in addition to an option to create a small chalk art square in their own area. Fantastical interactive photo murals where one can snap a photograph of another in the scene is currently in the planning stages as an exciting new onsite activity. There will also be guided tours of the newly renovated Schreiner Mansion and the popular Community Mural where the public will again be able to make their own small chalk art piece. Chalk art, also known as street painting, is a temporary and interactive art form that allows crowds to observe as it evolves to its final form. The creation of a large, intricate chalk painting may take hours or days to complete, only to be gone after it is washed away or the elements degrade the work. The Kerr Arts and Cultural Center (KACC) will be featuring a special gallery exhibit, “Chalk on the Walls” in October, which will be on view during the Festival. Street artists for the Festival will show less temporary art they have created in other mediums. “The gallery show gives the participating chalk artists an opportunity to display their more permanent work and is a meaningful way to tie the KACC with the Festival this year since our art education program has been named as the 2016 beneficiary,” remarked KACC Executive Director Debbie Minns. The Kerrville Chalk Festival will take place rain or shine on Saturday, October 15th and Sunday, October 16th. Thanks to corporate and individual sponsors no admission fees will be charged to attend the event although there will be small fees or donations requested for some art activities. The number of squares is limited and at this time there are no remaining squares available although a waiting list has been created. For more information about volunteering for the Festival, or about creating a street painting with a group or as an individual at the event, go to KerrvilleChalk.org, email info@KerrvilleChalk.org, or call (830)895-5222. Visit and “friend” the Kerrville Chalk Festival Facebook page for periodic updates. Nestled in the Texas Hill Country, on the banks of the Verde Creek, just a short scenic drive from Kerrville, the Camp Verde store was first established in 1857. The present day, two story sto ne structure of Southern colonial design was constructed after a flood swept away the original building around 1900. Originally, the general store was established to offer goods and services to the soldiers stationed at Fort Verde, a mile to the west. By the time the US Army deactivated the Fort, the Camp Verde General Store and post office had become an important part of the community, serving the growing number of pioneer ranchers in the area. In 1854, Secretary of War Jefferson Davis (who later became President of the Confederacy) petitioned Congress to appropriate $30,000 for the Army to experiment with using camels for supply transport and other military purposes. With the support of President Pierce, the bill was subsequently approved by Congress on March 3, 1855. Major Henry Wayne and Lieutenant David Porter were put in command of securing the camels from the Middle East. The first shipment from Egypt (of nine swift dromedaries, twenty burden camels, plus four others of mixed breed) arrived via naval supply ship in April of 1856. Four native drivers (who were given “American” names of Greek George, Long Tom, Mico and Hi-Jolly) accompanied the camels to the New World. It was late August of 1856 when this group of camels finally arrived at Fort Camp Verde. The second load of 40 animals arrived during the spring of 1857. By the time the Civil War had begun, there were over 50 camels in residence at the Fort. During the winter of 1861, the Fort was captured by the Confederacy. When the Fort was recaptured by the US Government in 1865, there were more than 100 camels. The animals passed every test of their ability – carrying heavier loads and traveling longer distances than the mules and horses used in the area. However, the War Department sorely needed funds for Reconstruction after the Civil War. The Fort was deactivated in 1869 – ending the experiment. While a fire destroyed the buildings of nearby Fort Camp Verde in 1910, the courage and bold spirit of the Great Camel Experiment survives to this day. Since 2003, Camp Verde General Store has been gradually undergoing a sort of renaissance, introducing a new spirit to this part of the Texas Hill Country. Everywhere, there are distinct touches that add to the historical setting of this remarkable venue. The spectacular outdoor patios are perfect for a gathering with friends or family. The shade trees surrounding the store have offered shelter for hundreds of years. Great care has been taken to honor the past while continuing to embrace the future of this remarkable place.